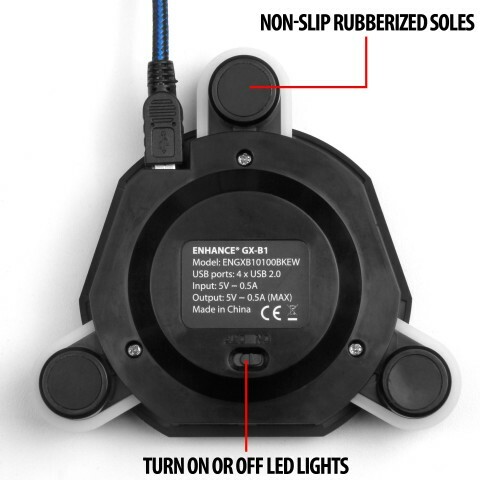 Enjoy a new way of playing video games by preventing annoying cord interference by using the B1 Mouse Bungee! 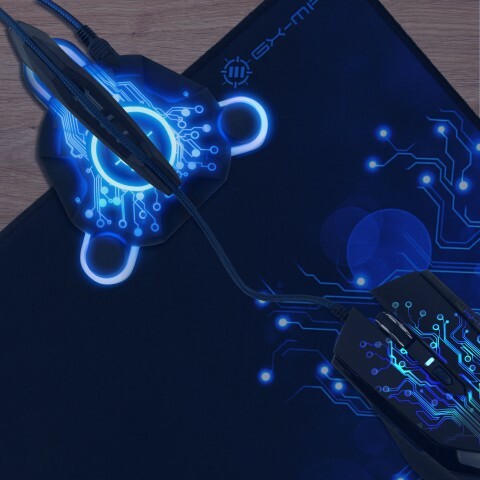 Using a cord management system allows you to aggressively flick , swipe and fling your mouse without getting caught up in wires. 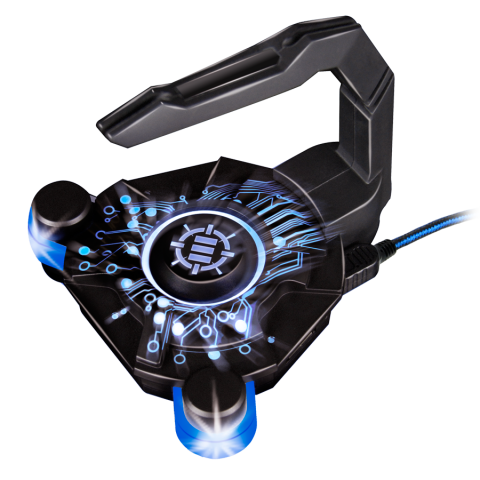 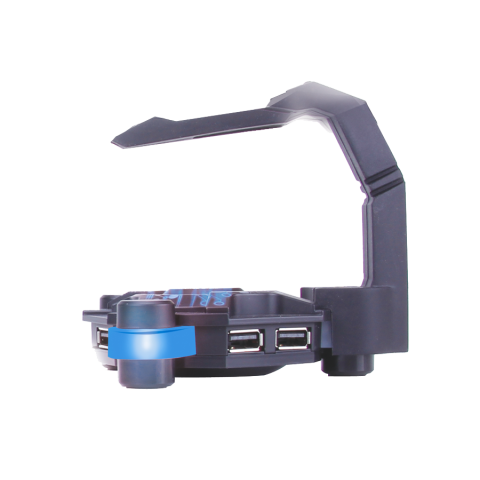 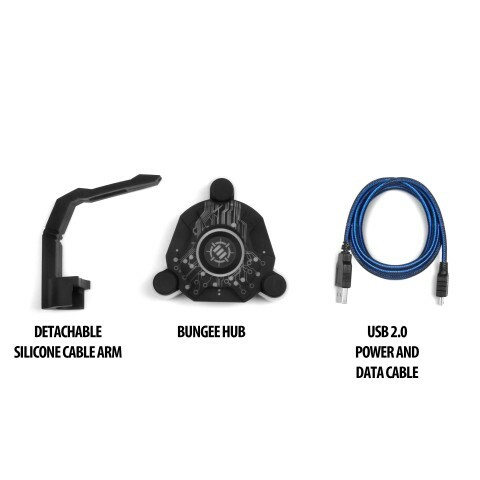 The B1 Bungee comes with a highly durable silicone arm that bends and conforms to your gaming style allowing you to swipe your mouse more smoothly and naturally. 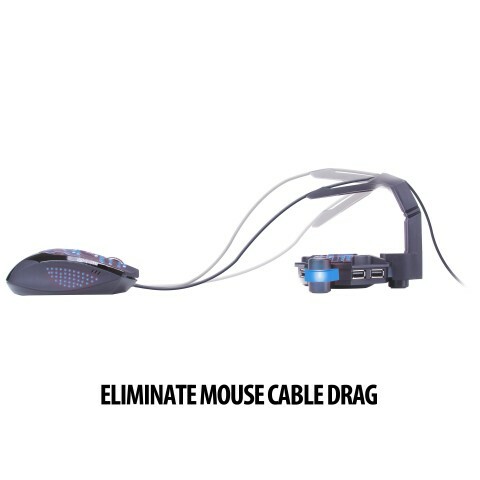 By attaching your mouse's cord to the silicone arm , the cord is elevated and guided away from the mouse's sliding area. 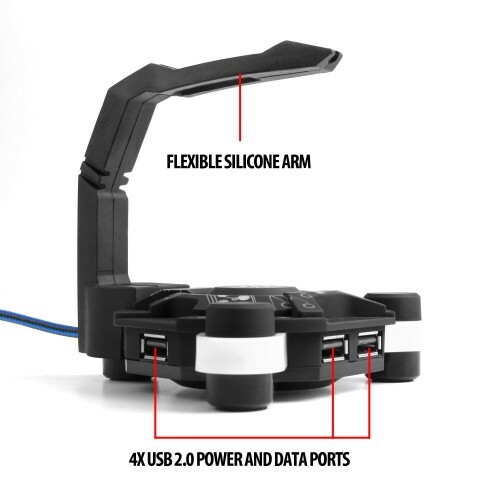 Along with keeping cord interference at bay , you can also consolidate and keep your electronics charged and organized using 4 active onboard 2.0 USB ports ready to charge or to transfer data! 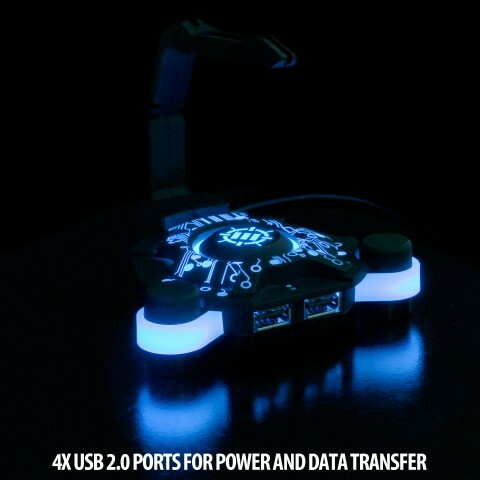 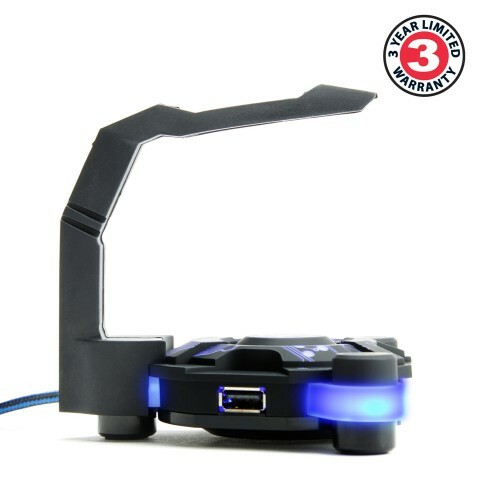 This highly versatile tool is finished with alluring LED lights to compliment any gaming rig for an aesthetically pleasing experience.